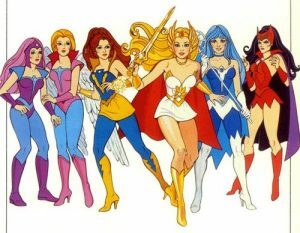 Was Sailor Moon Inspired by She-Ra: Princess of Power? The internet, as I’m sure you know, is home to a great many bizarre theories, half-baked connections, and misunderstandings. But for every ten poorly-considered campaigns to buy breakfast pastries to save your favorite anime, there are at least one or two legitimate pearls of wisdom to be found. 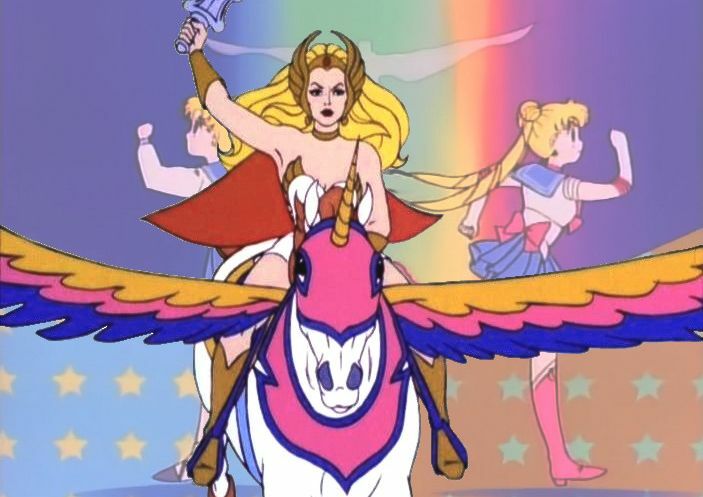 Today I want to take a look into a Japanese fan theory making the rounds on the internet that Ms. Takeuchi was inspired by the 1985 cartoon She-Ra: Princess of Power1 when she made Sailor Moon. When I first heard about this from a friend over coffee at Starbucks, I laughed and said it was an utterly ridiculous idea that there would be any connection between these two series. After all, while there were a lot of cases in the 1980s of Japanese anime being imported into the West, it was (and still is) pretty uncommon at the time for Western cartoons to gain a foothold in Japan, with Disney being an obvious exception. 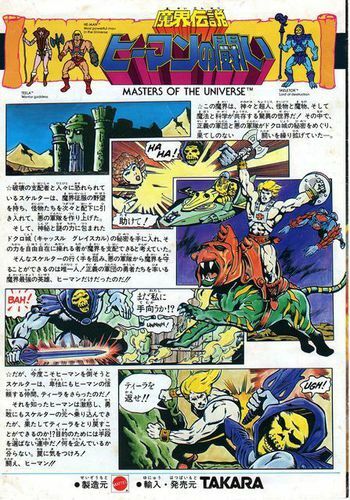 I decided to look into this a bit further when I got home and found out that – much to my surprise – the Masters of the Universe2 toy line actually did have a presence in Japan. As it turns out, this wasn’t the only He-Man property to see the light of day in Japan. The 1987 box office and critical flop live action movie, Masters of the Universe,4 was also released in Japan – not once, but twice! Released in 1990 and 1992 by TV Tokyo and TV Asahi, respectively, the movie was titled Masters: Space Champions (マスターズ/超空の覇者; masuta-zu / choukuu no hasha).5 This practice was not uncommon in Japan, but that’s beyond the scope of this article. Read also: What is a Moonie Code? But now we’ve deviated quite a bit from the topic at hand of whether or not this had any influence on the creation of Sailor Moon. While the initial research detailed above seemed to imply that it certainly could be possible, unfortunately I ultimately reached the conclusion that any connections between the two series are probably coincidental. She has a tiara, too! The biggest connection that proponents of the theory point to is that both series – Sailor Moon and She-Ra – feature a blonde princess as the main character who transforms into a super-heroine in order to fight the forces of evil. While this may seem like a pretty strong connection at first blush, this story setting is actually far from unique – a very similar setup for Wonder Woman’s origin story,6 which I’m pretty sure we can all agree isn’t a Sailor Moon influence. … actually, Sailor Venus’ Love Me Chain may have some connection to the Lasso of Truth, but that’s another story. The theory falls apart even further from here, when you consider that Usagi wasn’t supposed to be blonde in the first place. According to Ms. Takeuchi’s notes, she was originally supposed to have pink or silver hair, so the image connection is out too. The final nail in the coffin, though, comes from the fact that the Masters of the Universe toy line was a complete failure in Japan. They were on shelves for only a short period of time and, due to their lack of popularity, the toys never got past the first wave. Needless to say, no Japanese versions of the cartoon exist and it looks like no other products (books, etc.) were ever sold. Read also: How Different Was the Pacing of the Sailor Moon Anime and Manga? That means that She-Ra never officially appeared in Japan, in any form. Back in 1991, in the days of a very primitive, non-graphical internet, it’s hard to believe that Ms. Takeuchi would have had any knowledge of the 1985 American cartoon in order to use it as a base for her upcoming magical series. While I can’t say absolutely definitively that there is no connection between She-Ra and Usagi, after taking a deeper look into the limited reach of Western animation in Japan in the late 1980s and early 1990s, I’d say it’s a pretty safe bet to rule out this theory. Still, though, it was a lot of fun looking into, and makes me wonder if there are any other less-obvious Western connections that could have inspired Ms. Takeuchi. It’s worth taking a look! ← How Old Was Usagi’s Mother, Ikuko? 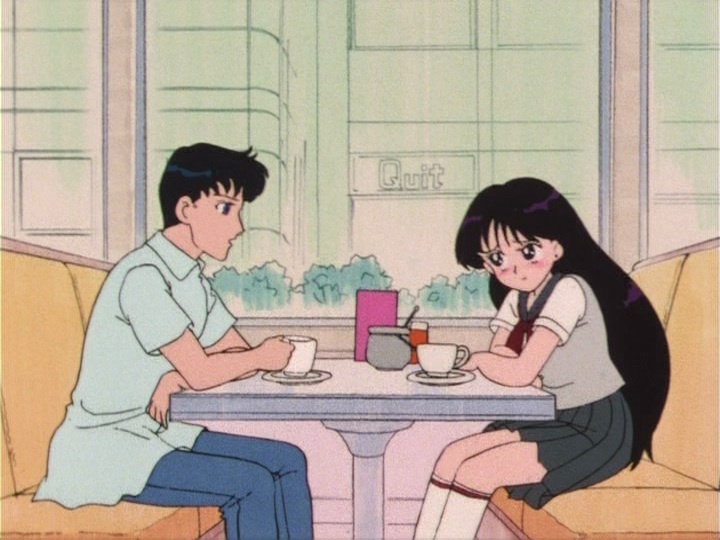 Maybe, maybe not…don’t forget that Sailor V came before Sailor Moon…and Minako is and always was blonde. She was also eventually revealed to be a princess herself, although there is no way to know if that was part of Naoko’s original plan for Sailor V’s backstory. And really without knowing that full backstory of what Naoko planned for her original Sailor V series there is no way of guessing what inspired what for Sailor Moon… I mean for instance it’s quite possible that the Boss from Sailor V would have originally been the Moon Princess or Queen (since despite being from Venus we know from the start there had to be a moon connection with the compact/transformation phrase/Artemis). 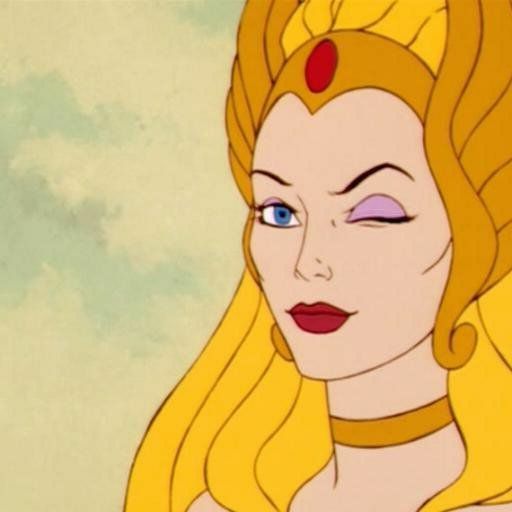 Which would have organically inspired the idea of Sailor Moon being the Moon princess when Toei ask for the team instead which to me makes it less likely the idea of a princess as warrior really drew direct inspiration from somewhere like She-Ra? I’ve always wondered just how much of Codename: Sailor V was planned out prior to the development of Sailor Moon. When you look at the dates, only a few months had passed from Sailor V‘s original debut in RunRun and when early Sailor Moon sketches began appearing in Nakayoshi (I want to say around November 1991 or so… I think I covered this before in an article on Sailor Moon’s original title). Since Sailor V was originally made as a one-off story, I think it’d be relatively safe to say that either these stories were originally conceived together, or in relatively short-order the Sailor V storyline was spun off into the larger Sailor Moon universe. As for more likely candidates for inspiration, I have a few series I’ve been meaning to write about that may have more directly influenced the show. Specifically, “Beautiful Masked Poitrine” (美少女仮面ポワトリン) seems to me to be a good candidate for early inspiration for Sailor Moon. It was one of the early live-action tokusatsu shows with a female lead and aired from January to December in 1990. Saint Seiya inspire it, actually. Hmm… it’s certainly a possibility, but I think it would be a a bit of a stretch. Back when Sailor Moon was created (in the early 90s), when the internet was barely “a thing” and there was little access to international media, I don’t think that Wonder Woman was big enough in Japan to have come to Naoko’s attention. Of course, it’s certainly possible that she had stumbled upon it, but when you consider that the last time that Wonder Woman was aired in Japan (as a dub of the TV show) was back in 1981, and that US comic translations wasn’t a big business until maybe the last decade or so, it’s probably unlikely that Wonder Woman was an inspiration. I never for a moment considered this. Rainbow Brite, on the other hand…. You know, I’ve never actually see Rainbow Brite. It’s really strange, since I’m right in that age group, and I watched all the other similar shows from around that time (e.g., Jem, My Little Pony, Care Bears). I think one of the possibly Ms. Takeuchi’s ispiration is “Honey honey no sutekina boken” a 1968’s manga from Hideko Mizuno published by kodansha and adapted in anime in 1981. There’s no magical powers but the story is around Honey Honey and he cat. Honey is a waitress in Vienna. She is very similar to Usagi. One day, her cat heat a ring called “Smile of the Amazon”. This ring is owned by Princess Flora (she looks like a very young Queen Berille). In the manga and anime there’s Phoenix the thief, that have a cat too and is in love with Honey. He is very similar to Tuxedo mask. The only real connection the two have is that the in-between animators for She-Ra later worked on the infamous Toonmakers Sailor Moon pilot. Aside from that, the stories are too different. It is true that both are animations involving blonde princesses, but the similarities are pretty vague. A better comparison might be Chibiusa vs. the 80s toyline Moondreamers, but that too is a bit of a stretch. That toy and cartoon line featured girls who looked like little children, several with pink hair (one with red eyes) and magical animals. Blinky had a pink heart charm, pink pigtails and was usually around white animals and things that were pink and sparkly. Her wand in the later toyline had a pink heart. Sometimes, clips from their first VHS special pop up on YouTube. It’s a stretch but still worth noticing.